I have been super excited to share Suzanne and Jeff’s awesome Napa wedding at the beautiful Carneros Inn. And I will, very soon. 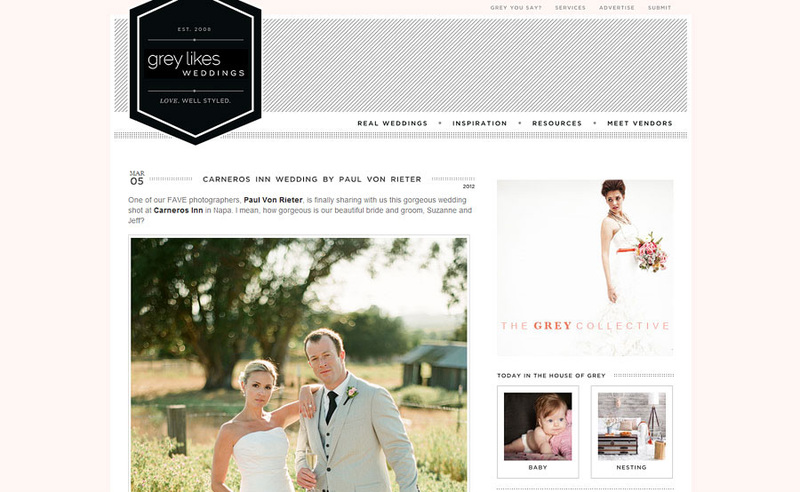 In the mean time, some of their awesome imagery was featured over at Grey Likes weddings. Click on the image to view the entire post.